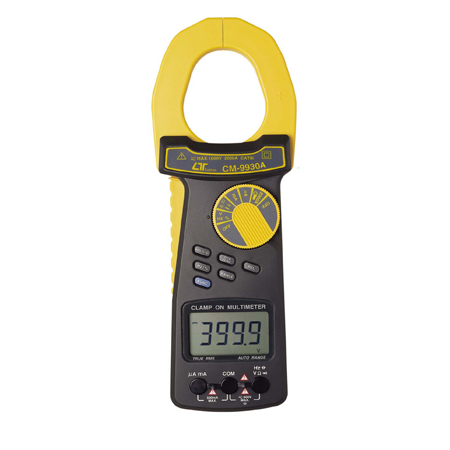 * 2 in 1, 2000 A clamp meter + Digital multimeter. * Meet IEC 1010 CATIII 1000V safety requirement. * True rms reading for ACV & ACA measurement. * 4000 counts, Auto range, multi-functions for ACA, DCA, ACV, DCV, Ohms, Capacitance, Hz, Diode, Duty cycle and continuity check. * Wide ranges ( 2000A, 400 A ) clamp on current measurement both for ACA & DCA. * 4 ranges ( 400 uA, 4000 uA, 40 mA, 400 mA ) direct current input measurement both for ACA & DCA. * Overload protection circuit is provided for all ranges. * Data hold, Relative key, Back light.